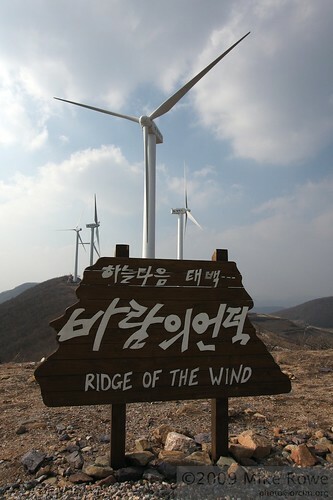 High up on the ridges looking out over the Taebaek valley is the “Ridge of the Wind” or Maebong Wind Farm. 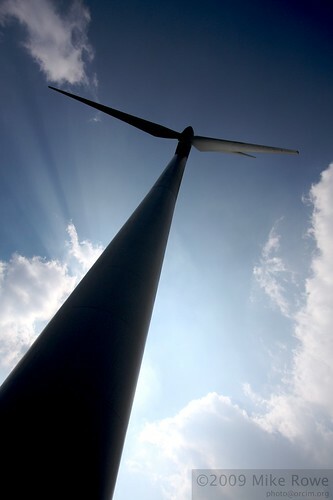 Currently we have 8 of these wind turbines, with 1 new larger turbine under construction a few hundred meters further along the ridge. 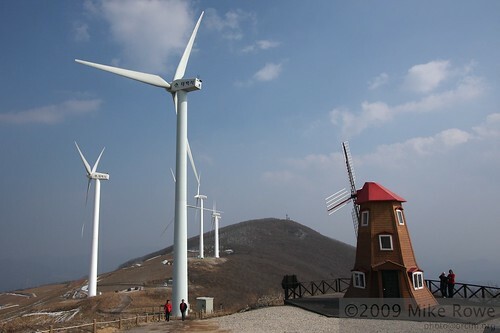 I’m not sure on the reason why, but in the usual Korean style they’ve put a “Ye Olde Windmill” up there too, for the tourists I guess. 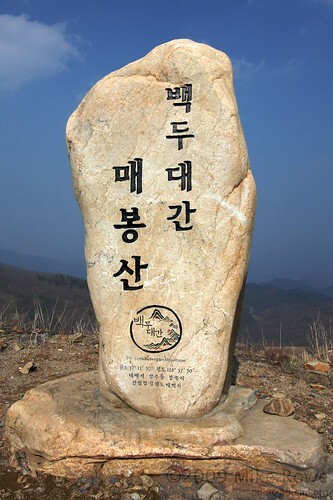 Also typically Korean are the large carved rock with message on it. 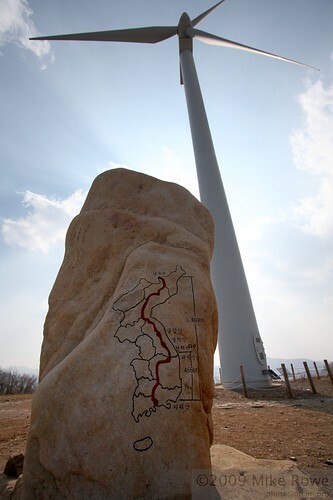 And on the reverse, what looks to be a trail following the Taebaek mountain range up and through the Korean peninsular. Since we first visited this place over 2 years ago, they’ve done a heap of work, trying to make it more of a tourist place. Judging by the number of people up there, it seems to be working.